I suppose this is the kind of game that teaches you something while you play it. I’d swear up and down that games are learning tools, as long as you can pull the kid off of it after a bit of time. 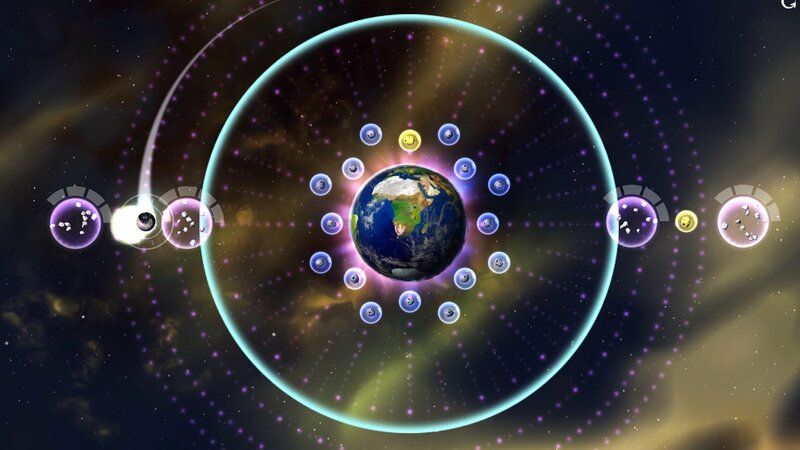 In this game’s case, it’s orbital mechanics – you play a moon, dubbed “Luna”, and have to direct your orbit around the planets in question to collect asteroids. The game branches from this basic idea, and uses several powers and different challenges to present different puzzle types to engage and frustrate the player. What we got is a rather interesting hard puzzler that has some good potential. There’s really no plot to speak of. The only other dialogue comes from a voice instructing you, and insulting or praising you on your actions. It gives hints that help with the missions, though it’s ultimately an obnoxious addition to the game, making passive-aggressive statements to ‘encourage’ players to get all of the golden asteroids. Frankly, we don’t actually need motivations to collect things in games like this and I’m a little too insulted that the game seems to insist upon it. Just let me throw myself against the brick wall twenty times on my own. 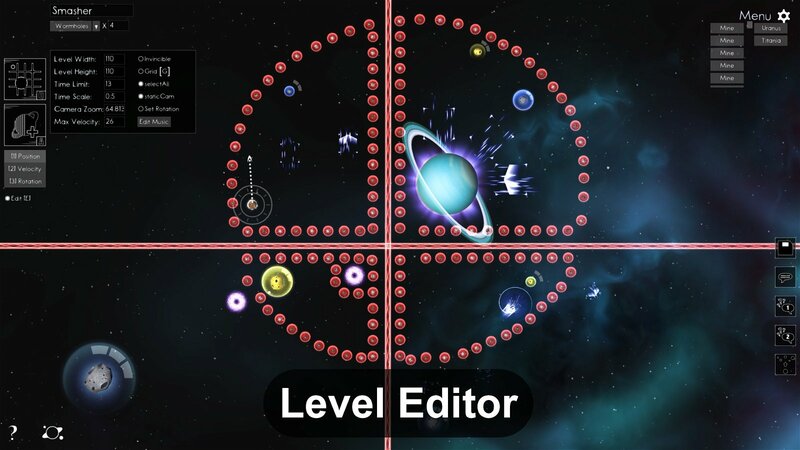 Levels vary wildly in terms of structure and even individual mechanics; each planet has its own unique power that you can use to traverse the puzzles. Many have you orbiting the planet in question, and you have to make use of how you and the other celestial bodies. 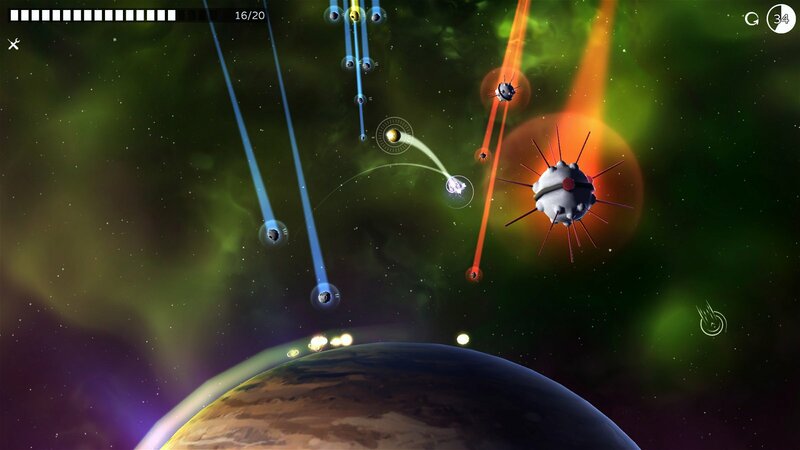 What comes is a game of manoeuvring, directing your orbiter about to capture enough asteroids before you run out of time or collide with something (or, in my case, shoot a laser at Mars and blow it up). The controls vary between planets and are laid out when something changes, and I found the default sensitivity was fine. You do have to learn different timings for different powers, as intentional. These games are built on frustration, so it’s not fair to punish them for being frustrating. In a lot of cases, having to redo a level repeatedly is the mark of good challenge, rather than unfair design. There were admittedly a few times I got severely angry, such as when I had to place wormholes to move deadly mines so I could transport a golden asteroid into my stationary moon. They were so close together that it was nearly impossible to position the hitbox quickly; however, It was possible to do, despite being hard. 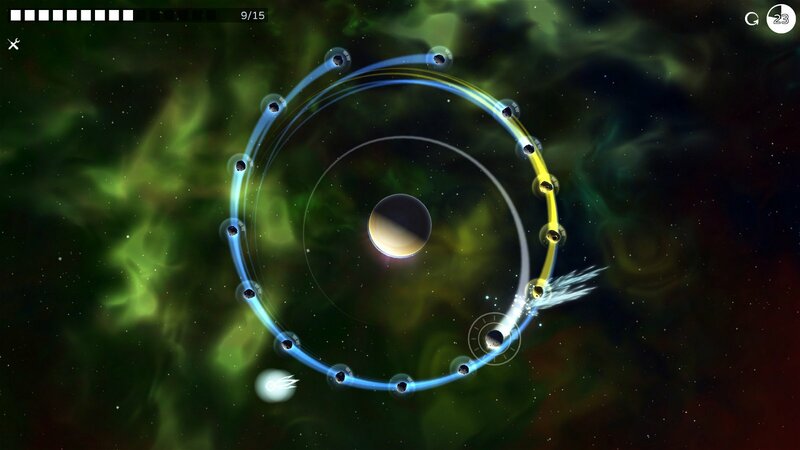 Completing levels only requires you collect normal asteroids, but you can find and capture up to three golden ones in order to unlock further planets. Fortunately, the game rewards experimenting – watching how the level’s mechanics work and playing around with different solutions is part of the fun. And I did enjoy it, for a time. But after plowing through the game’s many levels, I started to become tired of side-scrolling obstacle courses, maintaining directional orbit, and juggling various powers. There was variety to the levels, sure, and it’s enough to sustain interest in order to complete them, but trying repeatedly for all gold wasn’t appealing, especially with some of the hectic levels. Just completing the levels without gold doesn’t take too long at all – most of the challenge comes from redoing levels to get full completion, and that just isn’t quite fun enough. Trying to figure out the exact sequence of actions to collect three golden items is a matter of precision, trial, error, and planning skills, and it’s not quite engaging enough to warrant going much farther. Also, levels tend to last no more than half a minute, tops, so repeating them is going to get old, fast. I had to move onto other missions in order to keep my interest, and come back later. You do get some variety in what missions you tackle and when, which helps break monotony. The game has some potential as a puzzler, but it’s not going to hold attention for very long. The irritating text commentary and the repetition honestly overshadowed the pretty visuals and intelligent level designs. Give it a shot if you want, but don’t expect something stellar. 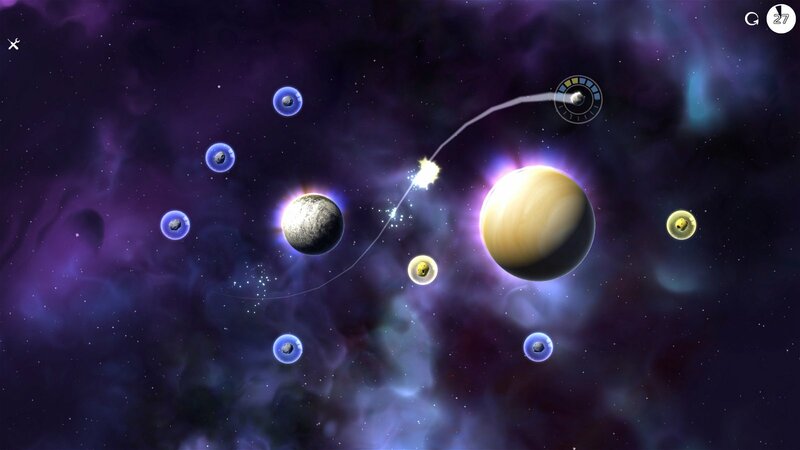 In this game's case, it's orbital mechanics – you play a moon, dubbed “Luna”, and have to direct your orbit around the planets in question to collect asteroids.